Apart from the initial installation process, conservatory window installation might be needed if your windows are damaged in some way and you need to replace them. You can do this yourself, if you have all the necessary tools, and if you have experience with window installation. If not, you should check out conservatory services in your area. There are many companies that specialise in conservatory fitting who will do a professional and expert conservatory window installation for you. Unless you consider yourself to be an expert at DIY, it is always best to have your conservatory windows installed by a professional who knows exactly what he is doing. This will avoid any future problems that might result from badly fitted windows, such as difficulty in opening, because of the window frame being slightly twisted and under stress. The windows in your conservatory should have the correct safety glass installed, especially if the window is less than 800 millimetres above the ground. You can easily check this by looking for the British standard kitemark located in the corner of each pane of glass. The window units are sealed double glazing that have air, or an inert gas inside. If the seal is damaged in any way the units will usually have misting inside. You should never allow any misted window units to be installed in your conservatory. Simply replace them instead. Sealed and double glazed window units usually have a guarantee, often for as long as 15 years. If, some time after your conservatory windows have been installed, you discover that one or more of the units have started to mist inside, and if this happens within the guarantee time, you should contact the company offering the guarantee and they will be obliged to replace the unit. It only takes the tiniest of holes to compromise a sealed double glazed window unit. You will probably not even be able to see where the damage has happened. 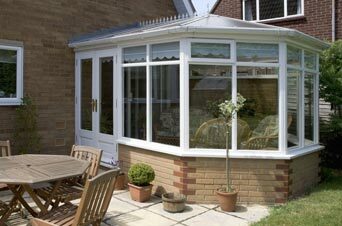 All the windows going around your conservatory should be level with each other. If you are doing the conservatory window installation yourself, this is something you should constantly check for. If you are having a conservatory service do the work for you, then it is likely that they will keep a check on this, but you should also do a quick check as the installation progresses to ensure that the work is being carried out to an acceptable standard. 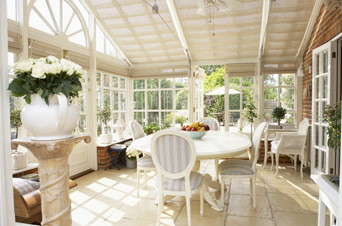 After your conservatory windows have been installed, check each one to ensure that they open and close again smoothly. Any difficulty here, even if it is only a slight difficulty, could indicate problems down the line, and probably sooner rather than later too. Swing out windows should be able to be swung out with ease and sliding windows should not have any spots where extra effort is required to open the window fully. 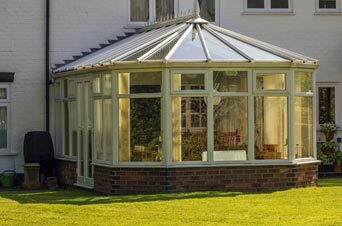 When choosing a reputable conservatory service to do your conservatory fitting of the windows, look for a company with plenty of experience. If they have a website, and they should, look for testimonials from past satisfied customers, and don’t be afraid to contact them either. 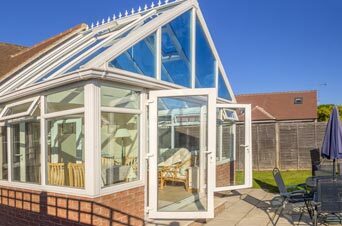 In the Birmingham area, Pinnacle Home Improvements (www.pinnacle-windows.co.uk) have plenty of experience with all aspects of conservatories. You can call them on 01527 522019. I am delighted with the result and several neighbours have commented on how nice they look and Ian, Steve and Sam al worked hard to achieve the end result - even though it cost me a bomb in coffee, sugar and milk! Thank you for travelling the M5.